Jurków, Lesser Poland, Beskid Wyspowy. 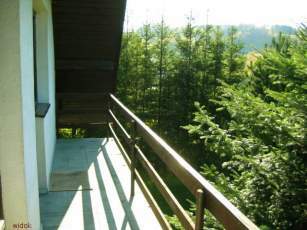 You are welcome to rent the house in the small mountain village Jurków, The house is situated in the Małopolska Province, in the Limanowa district, in the municipality of Good, 70 km from Krakow (access Zakopianka). Choose from the house in which there are: 5 bedrooms, living room with fireplace, kitchen, bathroom, toilet. On the first floor: 4 rooms: 3 rooms with twin beds, 2-passenger, 1 room with double bed,making a total of 9 beds. 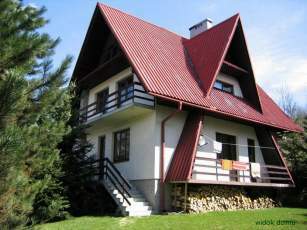 House recommend to families with children and groups of friendly people. Nearby is the historic wooden church, walking trails and bike trails, grocery stores, bank, pharmacy, 3 bars where you can eat and drink beer.